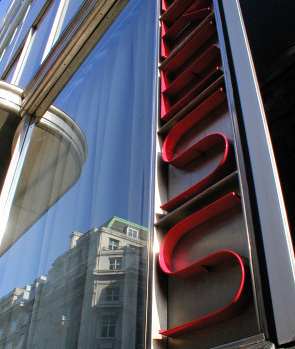 This museum in Covent Garden is crammed with the informative typography that we have used every day for almost a century to navigate our way around the city. 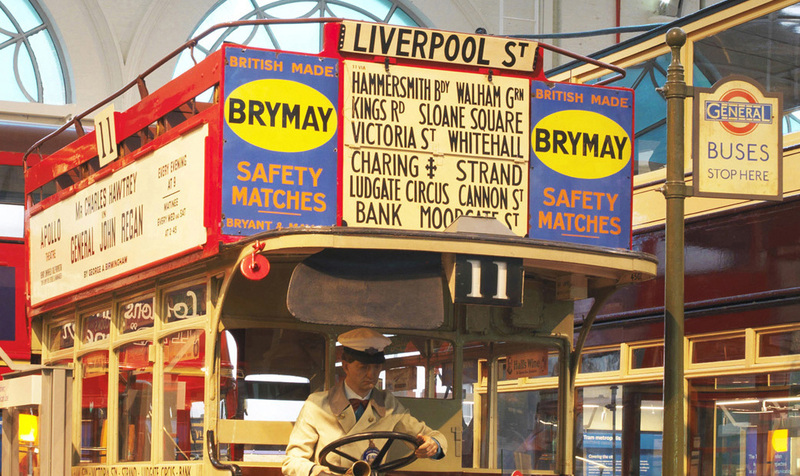 The buses and signage date from the 1920s to the present day and sit side by side, enabling us to compare the lettering and how it has changed over the years. The inscriptions on the gravestones in this beautiful North London cemetery give a view of London’s social history dating back to 1839, with many prominent figures buried there. 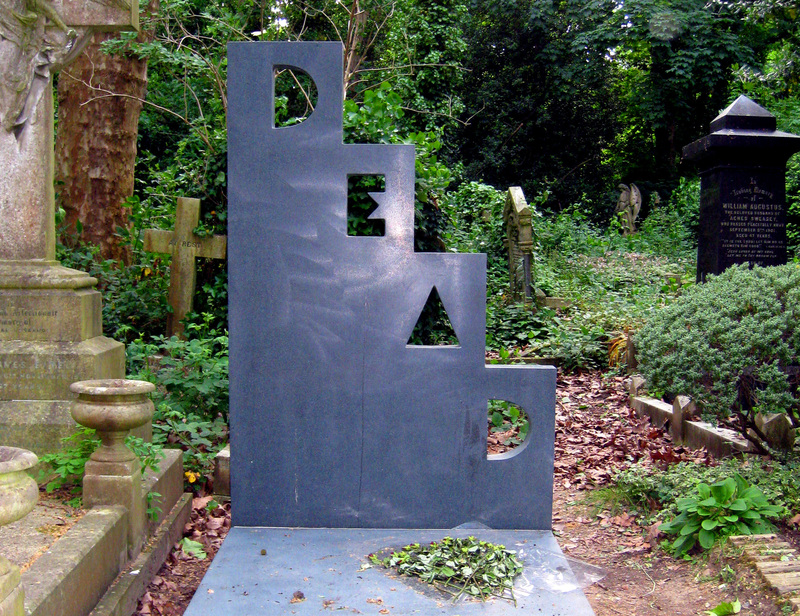 The lettering to be seen ranges from ornate Victorian script to the typographic simplicity of Patrick Caulfield’s headstone (above). Tours are open to the public all year round. There is a constantly evolving display of street art by a range of artists in the area around Rivington, Ebor and Chance Street near Shoreditch High Street Station. This piece on Ebor Street is by Eine, featuring his larger than life decorative letters, and there are always new discoveries to be found as the street art changes. 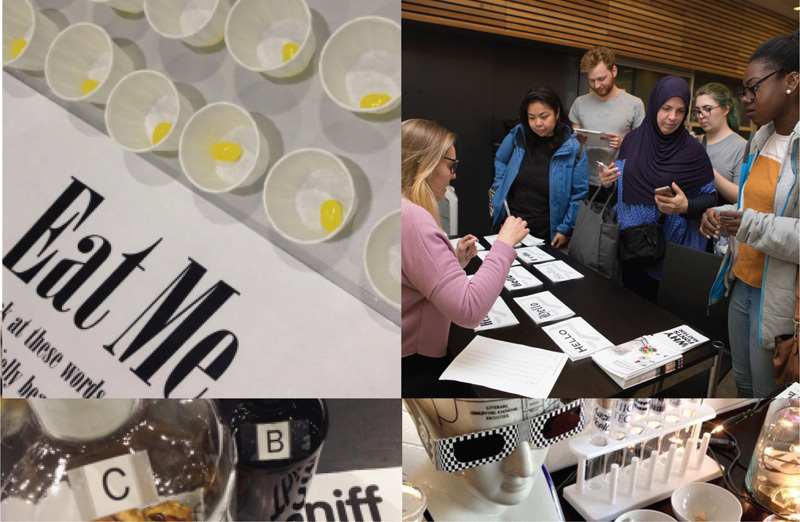 If you feel inspired to continue on your type safari then head to Brick Lane for a layering of neon and graffiti with original signage still to be seen in between. Fleet Street was a major printing centre from the 1500’s, and the centre of the British newspaper industry from the early 1800’s until the 1980’s. Typographic evidence of this long association with print can be found all along the street, for example on the Art Deco Daily Express building, the Punch Tavern and in the St Bride Library tucked down Bride Lane which has a reading room and an extensive collection of original print samples dating back to an original William Caxton book from 1478. A magical collection of old neon signs and architectural advertising which have been salvaged from the streets by ’The Neon Man’ Chris Bracey. 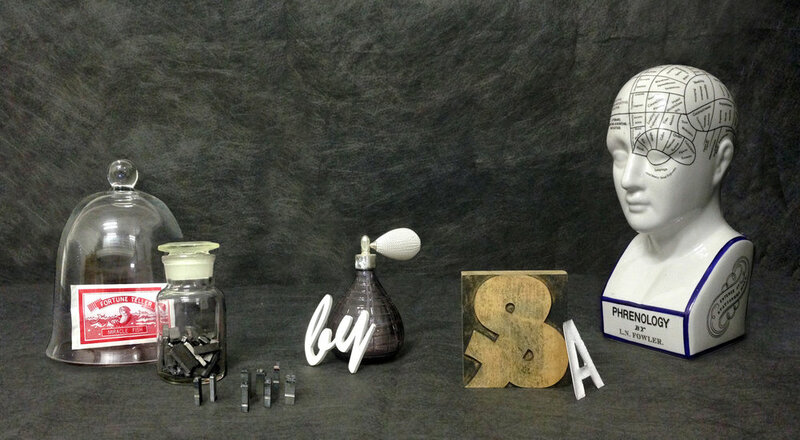 The signs are repaired and resurrected, ­often coupled with quirky art, to become icons in their own right. 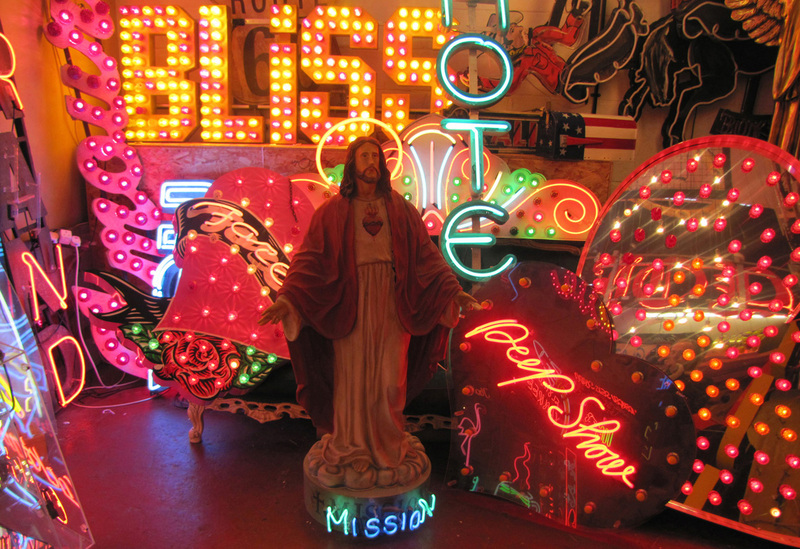 Gods Own Junkyard in Walthamstow is described by Chris as “where neon never dies”. STOP PRESS: Gods Own Junkyard is back in a new home opening on Friday December 6th 2013, read all about it here in Time Out.